Contact us, we'll reply as soon as possible. I authorise the processingof my personal data. WHO MIGHT WANT TO USE IT? Virtours is a complete platform for the creation, management, publication and sharing of virtual tours, offering a series of dedicated tools that transform the Virtual Reality into a highly effective business instrument. 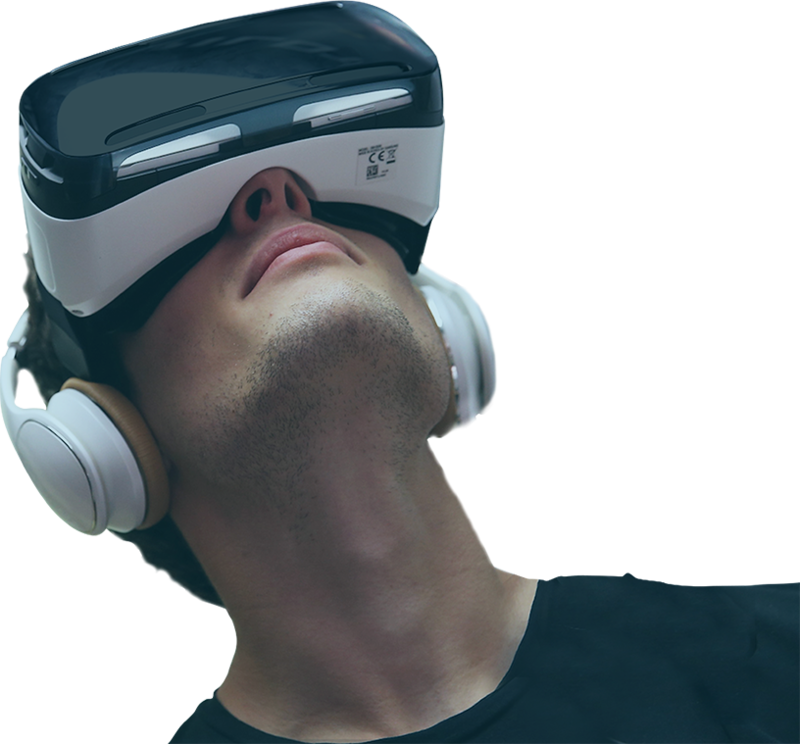 Virtours is Ikon's patented software solution for the creation, distribution and visualization of VR content using a single integrated platform. Virtours takes full advantage of the cloud architecture and adopts state of art technologies to offer the highest quality virtual experiences for your business. Being able to enter – virtually – a building from 2000 years ago: Virtours adds real value to my work as an archaeologist and a researcher, making it immediately available and useful to everyone. VR has opened up new avenues for the promotion of the Best Western hotel group and for a proper demonstration of each of its hotel's unique atmospheres: being able to assist and guide visor wearers via tablet is indicative of an order of magnitude increase in the device's potential and its transformation into a truly effective interactive business tool. For this reason we have chosen Virtours. A unique solution in its genre, one that allows us to present in innovative fashion the properties we have for sale, while helping us to save time by selection with clients of the apartments they would like to visit. We wanted an innovative solution to show, quickly and comprehensively, the potential of our locations to film directors and set designers. With Virtotours, we discovered a new way to present ourselves. Virtours Explorer allows for immersive viewing of content present on the platform (360° photo and video viewing – monoscopic and stereoscopic– and 3D rendering), allows for interaction with different types of hotspot for navigation through the various available scenes and for the activation of specific informative multimedia (texts, audio, photos, video). A system of intelligent caching scans at startup for new content in the cloud, then downloads and saves it locally on the device. Virtours Controller, thanks to the pairing function between visor and tablet, allows an operator to reproduce in real time on the tablet the viewing experience of the VR visor user and to guide him or her during the immersive experience on how to get the most from specific elements of content. Thanks to this function, groups of users wearing a visor can also be guided by an operator using a single tablet. Virtours Creator is the app dedicated to the autonomous creation of content by an operator using a tablet and 360 photocamera. The thus-created virtual tours can be augmented by the addition of navigation hotspots, information, photographic details, etc. At the end of the creation process, the application automatically transfers the content to the cloud server. The Virtours cloud environment allows for the uploading and swift distribution of virtual tours within the network of devices registered on the platform. Thanks to the integrated Content Management System (CMS), it is also possible to upload content (360° photos and videos, both monoscopic and stereoscopic, text hotspots, audio, video, images, etc.) directly from a web interface and to manage/modify all of the tours generated by Virtours Creator. Virtours Web allows for viewing of the virtual tours via normal web browser in interactive panoramic mode. Scenes can be explored using the mouse by way of drag/rotate, zoom and click at the hotspots. The Virtours Web form can be easily integrated into the pre-existing website. The Virtours platform integrates a user registration and profilation form that allows for the collection of client data and for the tracking of the entire immersive experience, collecting precious information regarding the locations visited and among these the most visited. By way of a special dashboard, operators can view the collected statistical data, grouping them according to various criteria. During the immersive navigation, users can mark with a “like” their favourite content: thanks to the integrated social sharing form, such content can then be shared through the main social networks, allowing it to spread and perhaps go viral on the net. Specific marketing automation functions allow for the automatic sending of follow-up mail at the end of the virtual visit which reminds users of their preferred content and offers them the possibility to view it on the web in interactive panoramic mode. Click on the hotspot to find out more. With a 360 camera its extremely easy to obtain a series of images and video of an immersive nature. Using the local wifi network, the recorded images are automatically transferred to the tablet where they can be viewed a few seconds after they've been taken. Thanks to Virtours Creator and Virtours CMS, it is possible to add content to hotspots (navigation, text, image, video, etc.) creating thus in a few moments a well-defined virtual tour. Upload your content to the Cloud Server and make it immediately available to all of your network. The virtual tour is uploaded directly to the Cloud and from there is immediately published. Comfortably manage content, users, permissions and licenses through the dedicated content management system Virtours CMS. All VR content is also manageable through an efficient and intuitive CMS that allows for the modification, publication, hiding or deletion of each element. 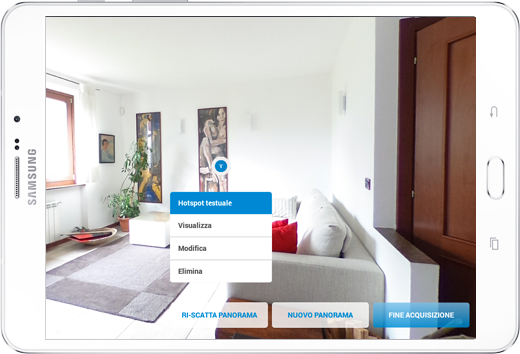 Automatically distribute virtual tours via the various available channels. The tour is downloaded automatically by Virtours Web, Virtours Cardboard and by the Virtours Explorer app for use on the Samsung Gear VR visor. App dedicated to the autonomous creation of content by operators using tablets and 360° photocameras. No mere photographs, but a truly first person experience. Upload and distribute virtual tours within the network. Manage and modify directly via web interface. A complete platform for the creation, publication and sharing of virtual tours. An innovative way to present environments and locations to one's clients. Normal web browser viewing of virtual tours, in interactive panorama mode. Is your company ready for Virtual Reality? Contact us for more information, ask for a demo or a quote. Large companies that have already chosen Virtours. VIRTOURS is a product designed and developed by IKON. © 2016 Ikon Srl - Strada S. Canciano, 6 34079 Staranzano (GO) p.i./c.f./Reg. Impr. GO 00527970313 - Cap. soc. 51.643 euro i.v.